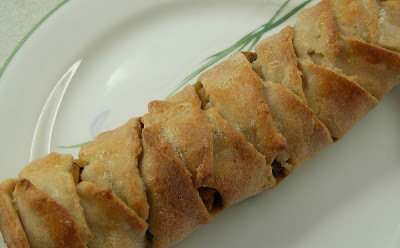 For Flash Back Friday, I decided to bring up this recipe I posted on January 14,2009, but my husband asked for them this week, so I thought I would revisit the original post. I turned the rest of the dough out on a sweet rice floured surface and kneaded in just enough sweet rice flour to make the dough manageable to make the rolls. So either method works great! Use dough as desired - for sausage rolls, pizza or ?? Bake at 375 degrees until nicely browned. The dough is easy to handle... can be prepared ahead of time and kept in the fridge several days until needed or even frozen for future use. After it is baked I find it also keeps very well for several days ... either eaten cold or reheated in the micro wave. 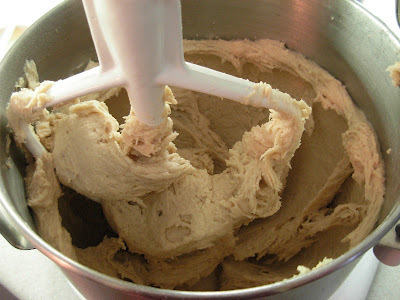 Turn the dough out on a surface sprinkled with sweet rice flour (or tapioca starch) and knead the dough into a ball.. Even though it seems very sticky still . .. you will be surprised how little extra flour it takes to make it a soft workable unsticky dough. Press fork along top to ensure a good seal and bake strips on cookie sheet and bake for about 25 minutes at 400' or untill nicely browned. Cut stips into serving pieces and serve warm. I also use this dough for a meat roll. 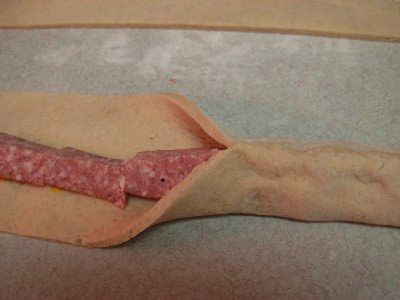 You can use any meat or vegetable filling you like adding your prefered spices or sauces for flavor. You can make them individual sized or one large roll... play with it according to your personal preference or need. 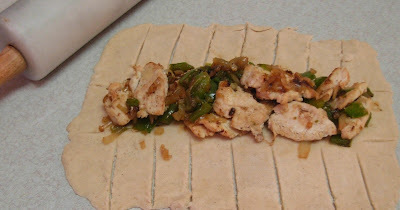 Roll out the dough into a rectangle and lay your filling across the lengthwise middle . Cut the dough as show in pic below. 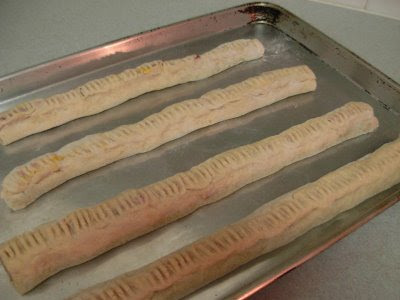 Fold up the end pieces first ... then alternately fold over the cut side strips like a two strand braid... over lapping the pieces .... Bake in 400' oven until browned. For the last few minutes of baking I brush with slightely beaten egg white to give a nice sheen to the pastry. If using for thin crust pizza, roll out to desired thickness and bake for 15' minutes at 375' before speading with pizza sauce and desired toppings. Other You could also use this dough for topping a Pot Pie. The meat roll is so pretty and I'm sure as delish as it looks. 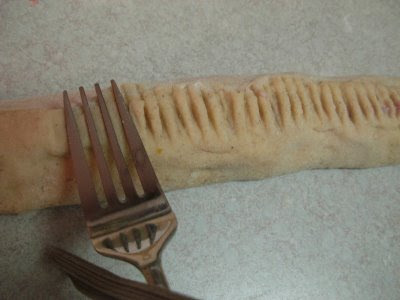 The meat roll looks like something we would love! Yum Yum! My husband is such a marvelous cook, he will really enjoy getting this recipe! Three in One! That's my kind of cooking. Try to make the most of one recipe...Way to go. http://glutenfreebreadworld.com and I would like to share this recipe with my readers (there aren't too many as I have just started. )I know they will come. You turn out the best foods in your gluten-free test kitchen! Keep up the good job. I love your blog. I am adding it to my favorites! Virginia, of course you may post my recipe on your blog! I would love to hear how the recipe works for you! I hope you enjoy it !! thanks for commenting !! 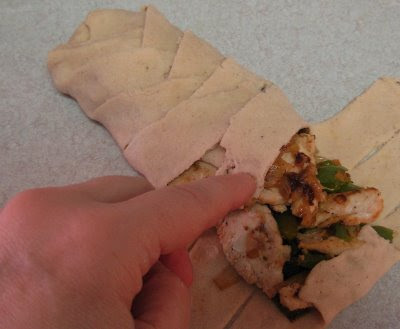 Julie, I'm so glad to see more gluten free recipes from you! 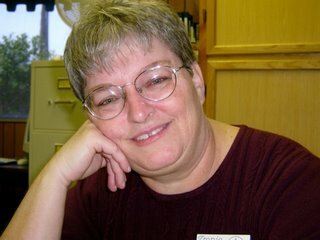 I've recently been diagnosed with celiac disease and now have put my whole family on the gluten free diet because my children may have a gluten sensitivity too. I've tried your bread recipe and absolutely LOVE it! Thanks so much for sharing your wonderful recipes. 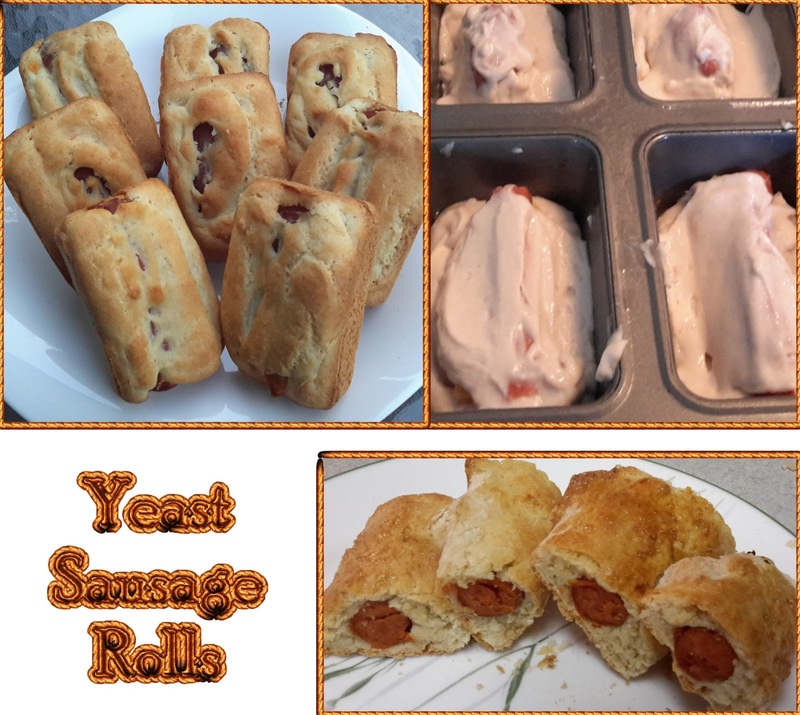 Keep on submitting those wonderful gluten free recipes Julie..the meat roll looks yummy! gluten free or not that looks like a tasty treat. the braid also looks good. is it chicken and spinach.....yum. my friend really appreciates your recipes it is a good thing for her. both of those look so good! I am going to give it a try soon. Have found a gluten free recipe for chicken and dumplings, southern style? I am really craving them lately. Do you let this rise at all? Or do you just mix and let it rise as it bakes? Thank you for your GF recipes. Not only are they good, but they give some relief for us Celiac Mennos. I'm sorry, Rob... I left out that detail... yes, I do let it rise for awhile before baking. You often mention Farmer Sausage. I live in the Midwest and am curious what would be similar to this. Is it like kielbasa or polish sausage? Thank you for the wonderful recipes. Wow - such a great tutorial Julie!